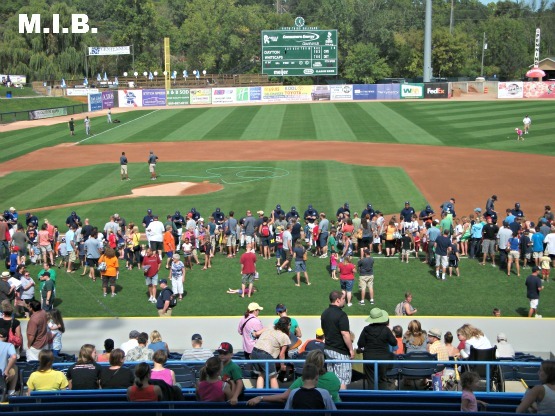 Fifth Third Ballpark-Comstock Park, MI: After a fun night of baseball, we were back at the ballpark the next morning for more of the same. 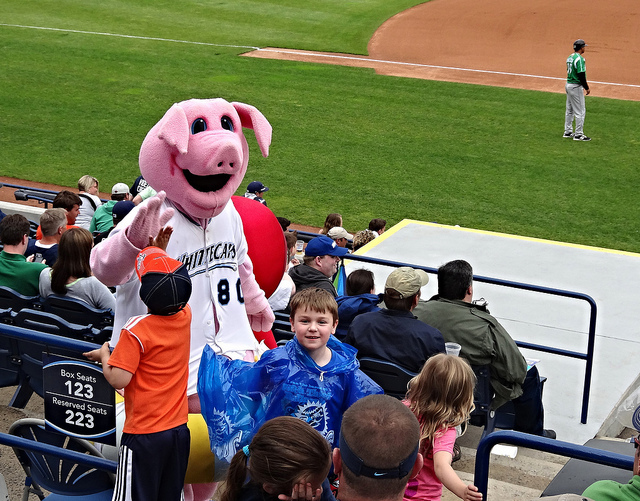 Sundays at the Whitecaps games are the best, as the kids are able to get on the field before the game, run the bases after the game, and get some free eats. 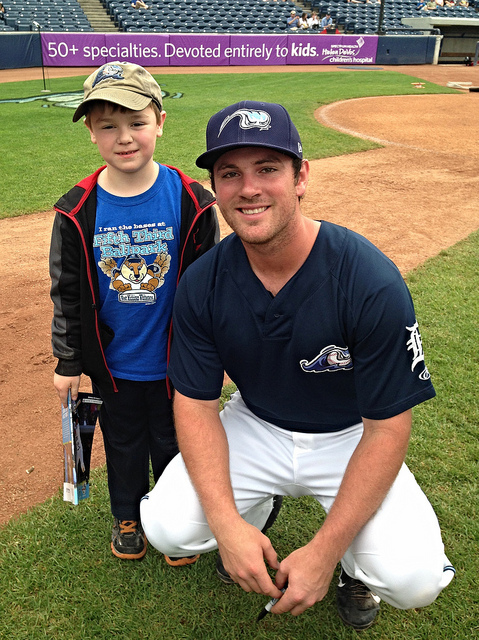 We started off on the field, with Brian getting to meet his favorite player Joey Pankake. 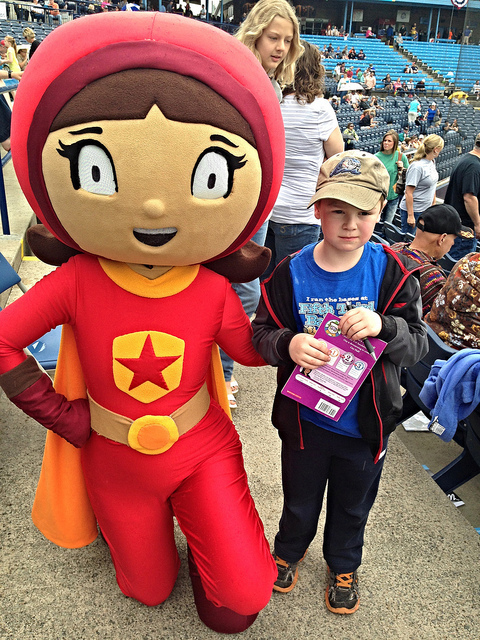 Since we missed a shot with Franky the day before, we got a pic with him, as well as PBS Wordgirl. 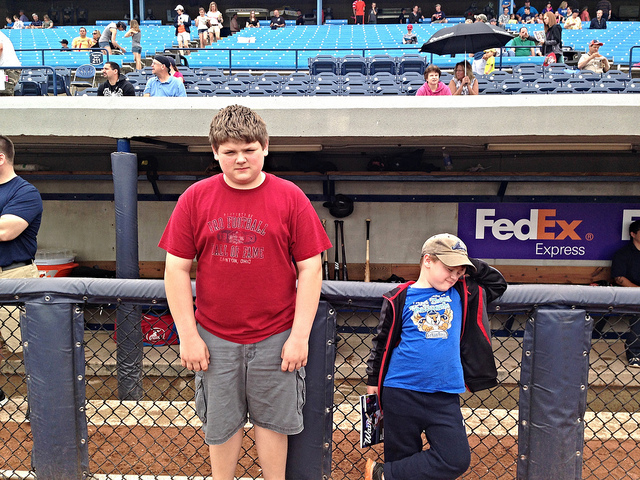 The boys even hot a chance to hang out in front of the dugout for a few minutes. The game went a lot better for the home team this time around. Pankake hit an RBI single in the first inning, to put West Michigan up 1-0 early. 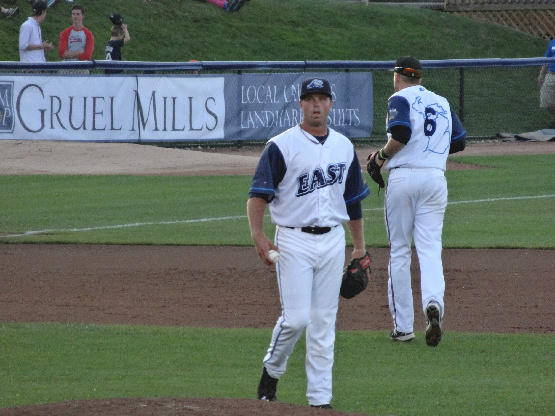 On the mound, Jeff Thompson worked effectively, even getting the Dragons to hit into an inning ending double-play with bases loaded in the fourth inning. 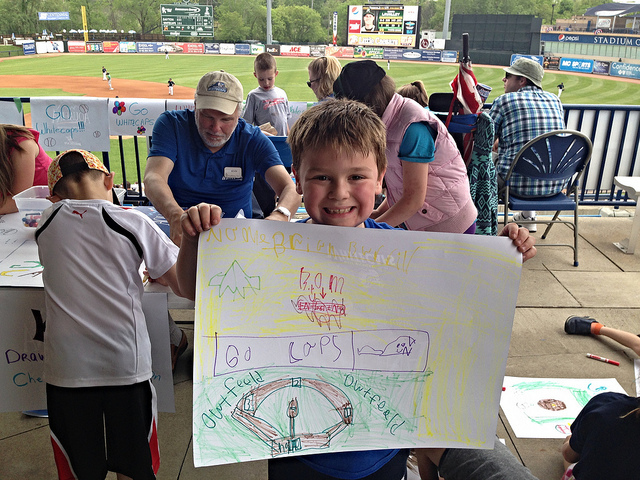 There was more fun stuff for the kids, as Brian was able to make his own sign to cheer on his Whitecaps. We had a little rain, too, but not enough to stop play or ruin our fun. 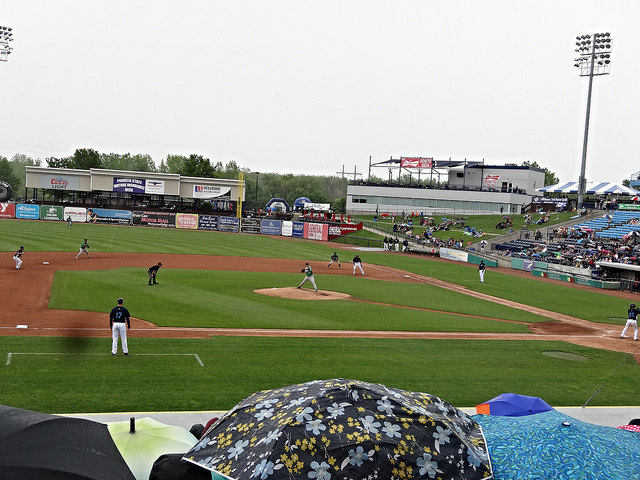 We took turns with some rain ponchos, but maybe we should have gotten some umbrellas. 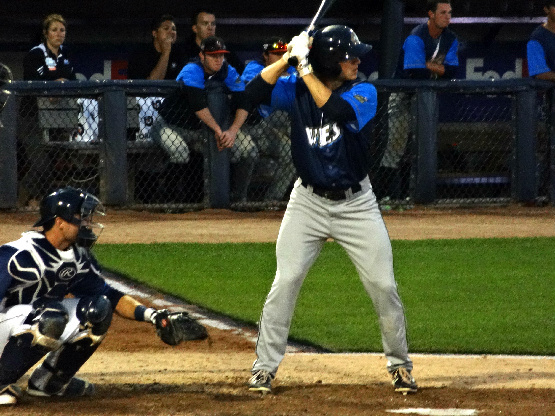 The Whitecaps would add on some more runs, as Zach Shepherd doubled in a pair in the bottom of the fourth. In the fifth, Austin Schotts hit a RBI single, and Garrett Mattlage squeezed home a run. So cool to see a squeeze play live. Forget home runs, that’s baseball! Thompson continued his dominance, pitching six innings and striking out a career high nine batters. 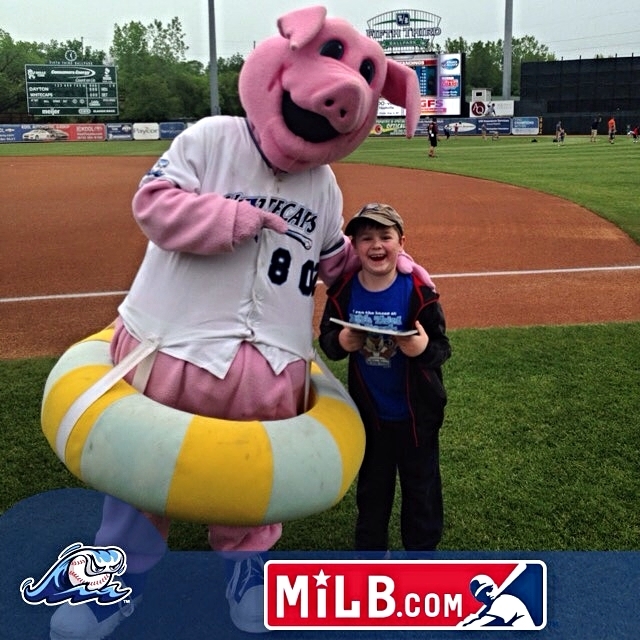 Final: Whitecaps 5, Dragons 0. 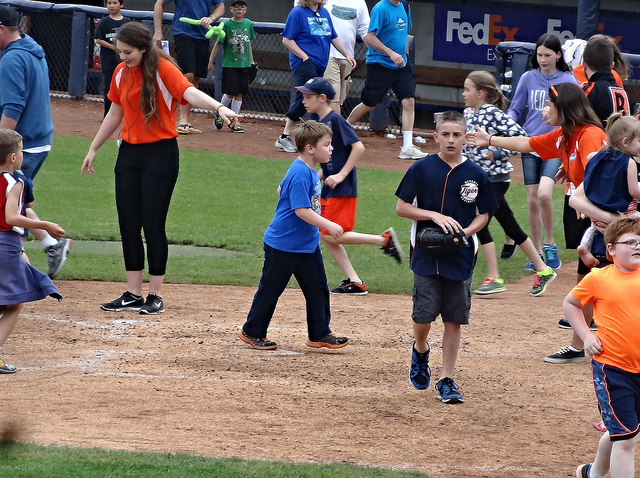 After the game, Trevor took Brian back onto the field to run the bases. 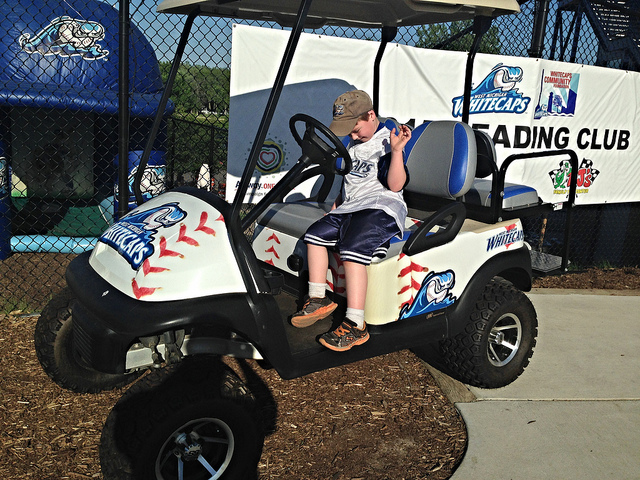 He had fun showing off his speed burning around the bases. 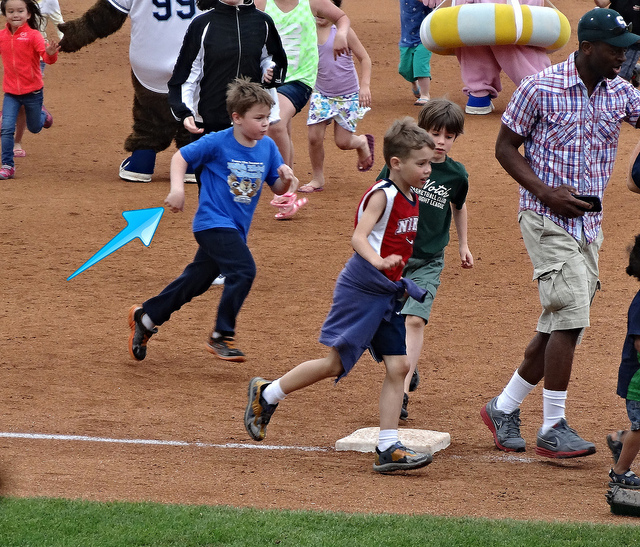 He was a little tired, though, as the bases are a little further apart than they are in Little League. This was a great day, and a great holiday weekend with family. We are all very grateful for this time together, and thankful for all the brave men and women who gave their lives so we can enjoy days like this. We really wanted to see the game on Memorial Day, but things didn’t work out (it was a good game, too, as the ‘Caps won in extra innings). 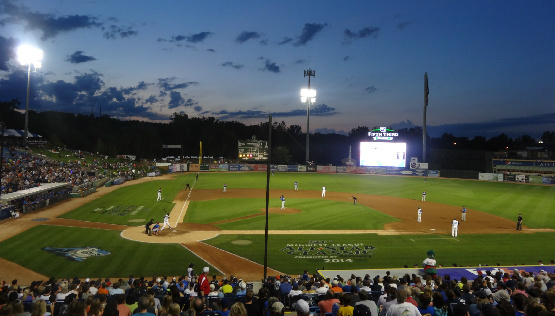 We’ll be back downstate in a couple of weeks, and will try to see more baseball then. 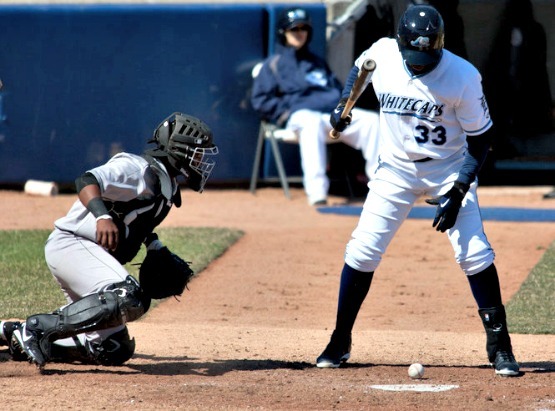 Midwest League MVP: For the third time in history, a member of the West Michigan Whitecaps was named Midwest League Most Valuable Player, in Wynton Bernard. The 23 yr-old outfielder leads the league with a .328 average, first in run scored with 89, hits with 159. He’s second in the league in total bases with 217 and on-base percentage with .401. 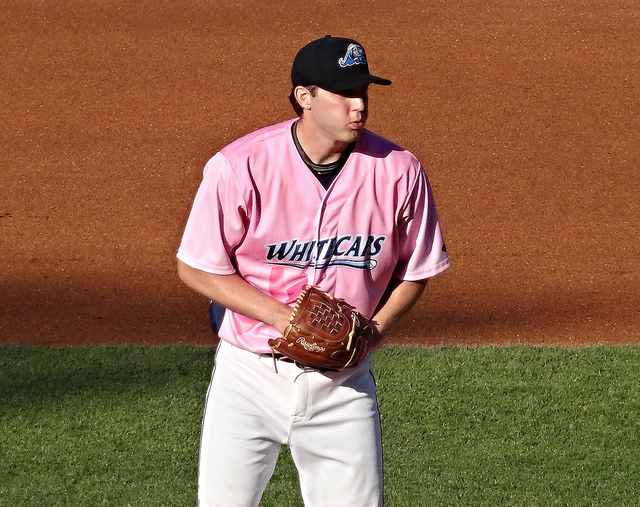 Bernards’ 159 sets a Whitecaps’ franchise record, which he set on Sunday at South Bend. What’s amazing, is that he was released by the San Diego Padres in January, and joined the Tigers via an open tryout in March in Lakeland. 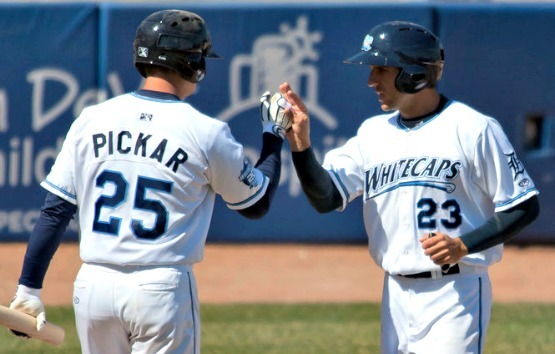 Now, he joins Robert Fick (1997) and Gorkys Hernandez (2007) as Whitecaps named league MVP. 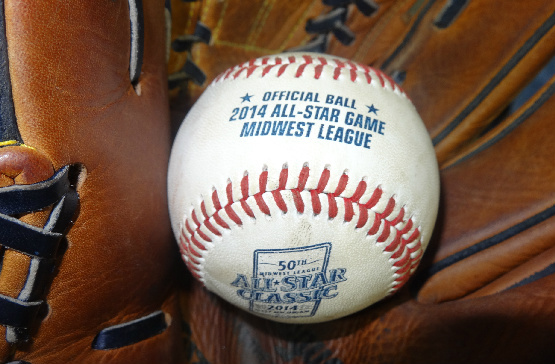 Post-season All-Stars: Joining Bernard in the MWL post-season All-Star Team, are pitchers Buck Farmer and Kevin Ziomek. 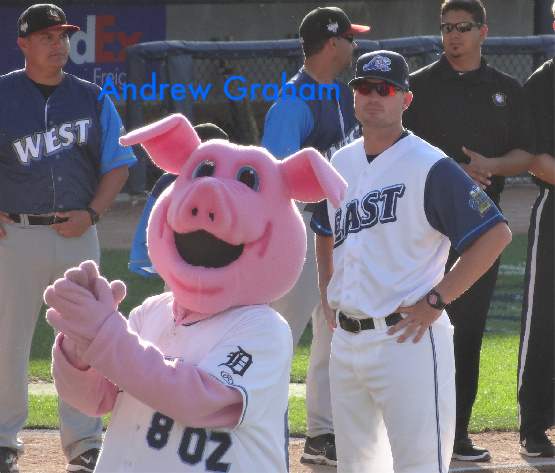 Farmer, who’s made two appearances with the Tigers this season, went 10-5 during his time in West Michigan. He posted a 2.60 ERA with 116 strikeouts, which lead the league at the time. Ziomek is currently 10-6 with a league-leading 145 strikeouts. He leads the league with a rate of 11.15 strikeouts per nine innings, that could also be a franchise record when the season is done. Pitcher of the Week: Although he didn’t make the post-season All-Star squad, pitcher Jon Maciel was named the Midwest League Pitcher of the Week for August 18-24. Maciel was brilliant during the ‘Caps’ 5-0 win over Dayton on Thursday, giving up one hit in seven shut-out innings. The 21 yr-old hurler struck out a career high 10 batters, including six straight. Maciel was an 18-round pick in the 2013 draft out of Cal State-Long Beach. So far this season he’s 6-6 with a 3.97 ERA and 85 strikeouts. He joins Austin Kubitza (x2) and Jonathon Crawford as recipients of the award this season. 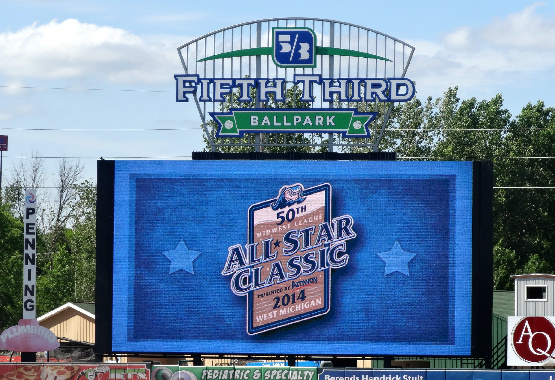 Fifth Third Ballpark-Comstock Park, MI: We started off this seasons’ baseball trip with a bang this year, right here in Michigan with the 50th Midwest League All-Star Classic. 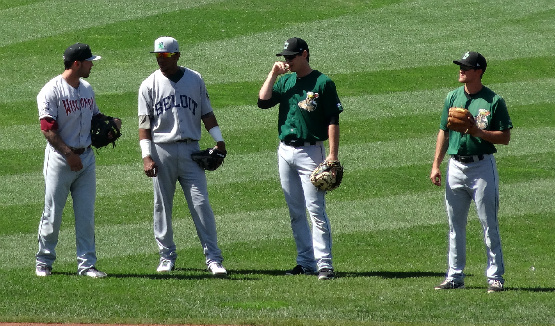 The doors opened at 4:00, so when we arrived we were able to watch some of the West players during batting practice. We were really lucky it turned out to be such a beautiful day, too, as the forecast called for some rain, and thankfully we never got a drop. There were plenty of things going on to keep fans entertained during the three hours until the first pitch, also. 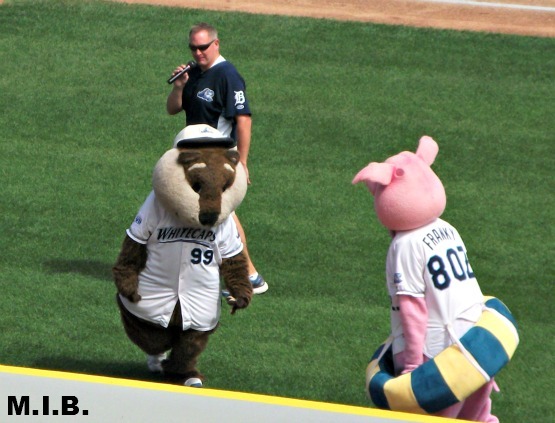 Joining the hometown mascots Crash, Franky, and Roxy, were Big Lug (Lansing), Johnny (Fort Wayne), Lou E. Loon (Great Lakes), and Fang (Wisconsin). The mascots did a great job all night and throughout the game. Crash and Lou E. Loon really stood out from the others, though, in entertaining the crowd. 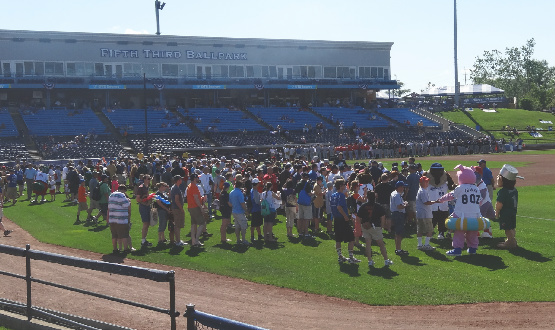 Fans were also lucky enough to get down on the field and get some autographs from the all-stars. They didn’t give us a whole lot of time, but I was able to get most of the East team to sign a baseball for the kids. 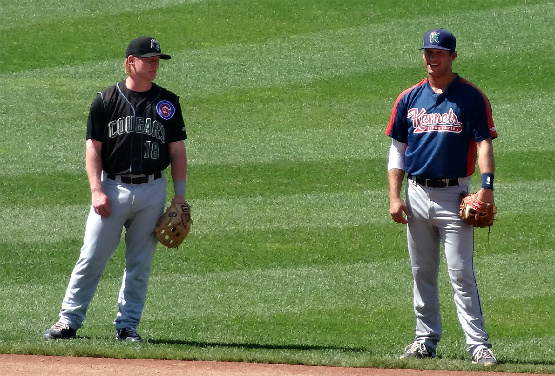 It was fun talking to the players, also, even the ones from opposing teams we don’t get to see that often. All the players were great with the fans, and seemed very happy to be participating in the game. Another pre-game activity was the ‘Lost Art of Bunting’ contest. 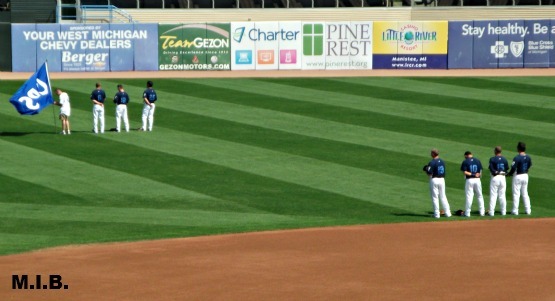 Players from each team had a chance to try bunting the ball onto select targets down the first and third base side. 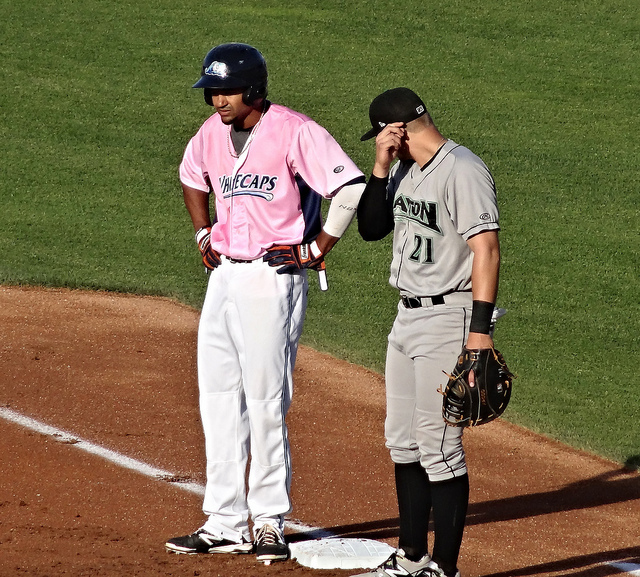 This year’s winner was Mallex Smith, and outfielder for the Fort Wayne TinCaps. 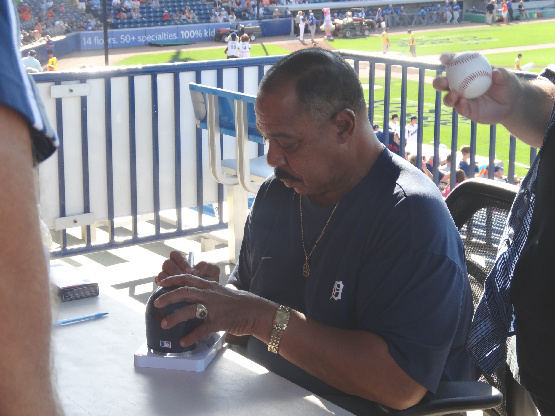 Also on hand to sign some autographs was Detroit Tigers’ legend Willie Horton. Being a World Champion for the Tigers in 1968, he was someone my parents watched back in the 60’s and 70’s. We made sure he signed a ball for both of them, and I tried to get Horton in a photo with my dad, but there was some bad lighting. Still better than nothing, though. There was a long line for autographs, but it moved pretty quickly. Almost comical, though, as you couldn’t have him personalize an autograph or get an actual picture with him. Now, on to the game itself…which was a blowout. You’d think an all-star game would be pretty competitive, but the West shut down the hitters from the East almost the entire game. In fact, the East was no-hit for 7 2/3 innings, before South Bend’s Marty Herum wrecked it. 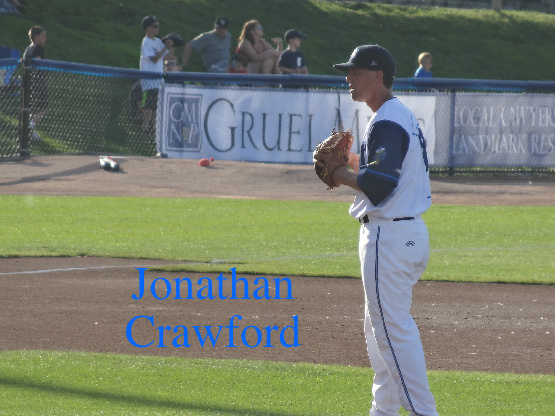 The Whitecaps’ starting pitcher Jonathan Crawford took the loss for the East, giving up one run in two innings of work. The ‘Caps Buck Farmer came in and pitched a scoreless fifth inning. He struck out one, walked one, and hit one batter. He leads the Midwest League with 87 strikeouts. 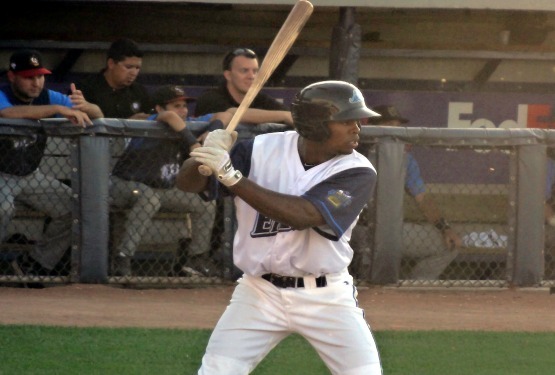 Wynton Bernard played left field the entire game, going 0-3 with a walk, and leaving two runners on. 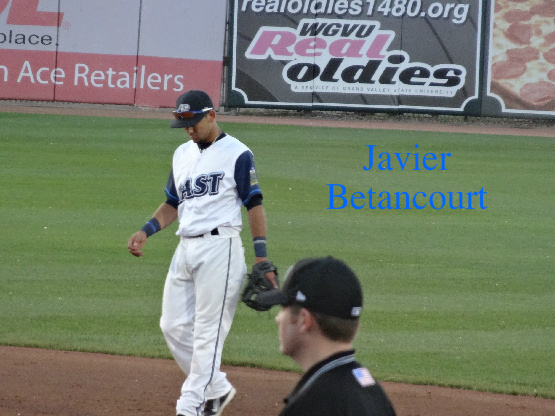 Second baseman Javier Betancourt came into the game in the fifth inning. 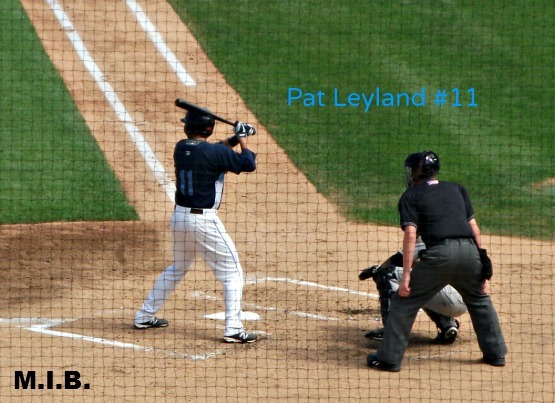 Although he was tied for the league lead in hits, he went 0-2 with a line-drive out and a ground-out. 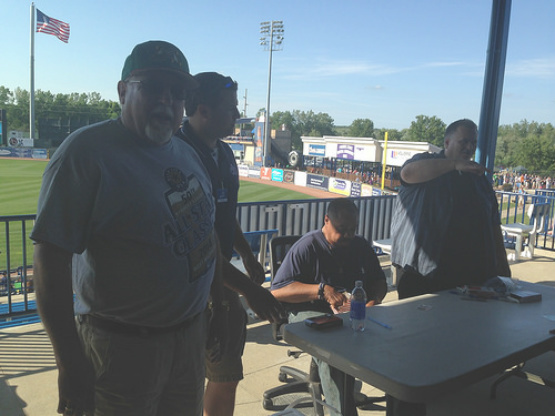 West Michigan pitchers Austin Kubitza, Chad Green, and reliever Joe Mantiply did not make an appearance. 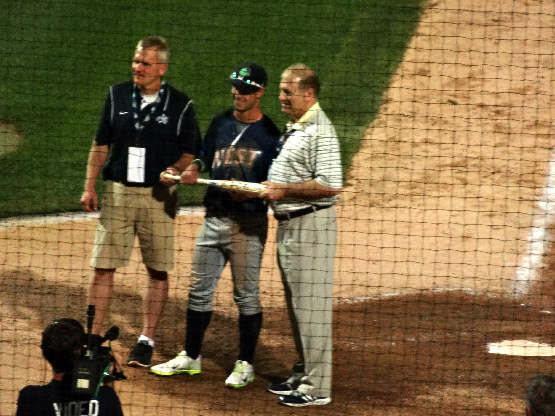 The MVP award went to Hershel ‘Boog’ Powell of the Beloit Snappers. Boog went 1-3 with two walks, two stolen bases, and a two-run double. Even though the games wasn’t a close one, it was still an exciting experience for any baseball fan. And, hey, at least I caught a game ball! Final score: East 0, West 7. 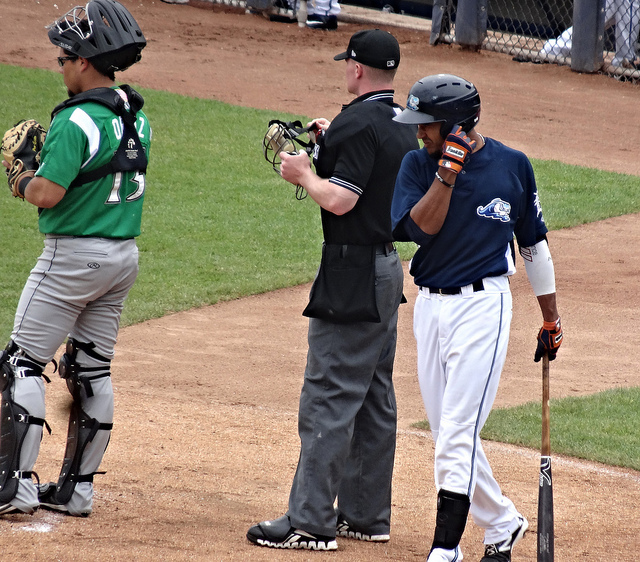 The West Michigan Whitecaps‘ second baseman Devon Travis (pictured above) earned a spot on the Midwest League All-Star team with his play this season, especially with his bat. He currently leads the league in hits and average at .350. 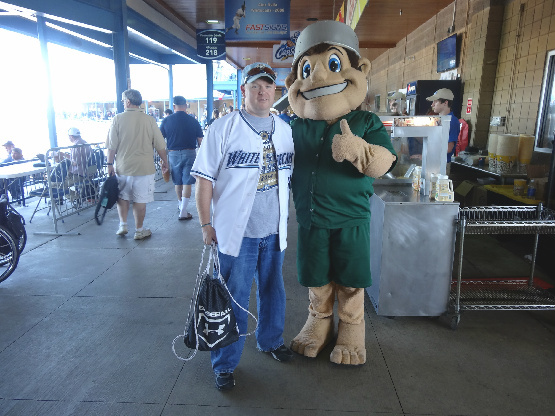 Believe it or not, Travis wasn’t even a starter for the MWL East at the game in Dayton, Ohio on Tuesday night. That actually worked out well, however, as he was put into the game as a defensive replacement in the second inning. 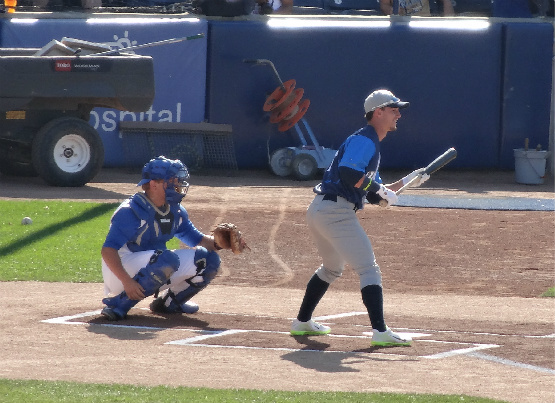 During his at bat in the fifth inning with the bases loaded, Travis lined a shot down the right field line for a triple that scored three runs. He was 2-2 in the game, getting a base hit in his first at-bat. The MVP almost got away from him, though, as the East took a 5-2 lead into the ninth, but the relievers couldn’t hold on to it. 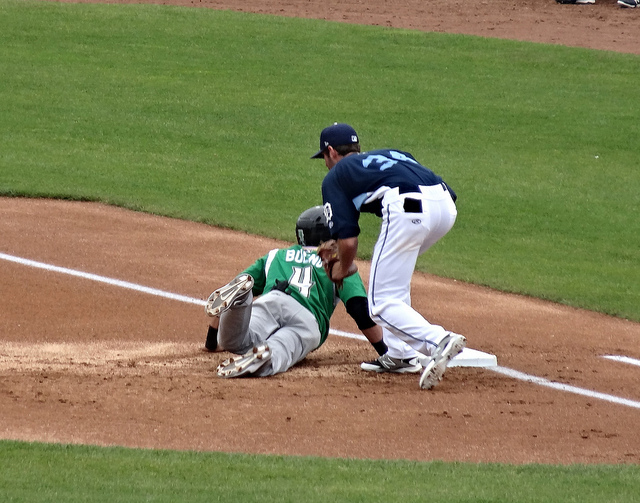 The West came back to tie the game at five all, but Travis was saved by Dalton Pompey of the Lansing LugNuts, who hit a walk-off single to score the winning run. 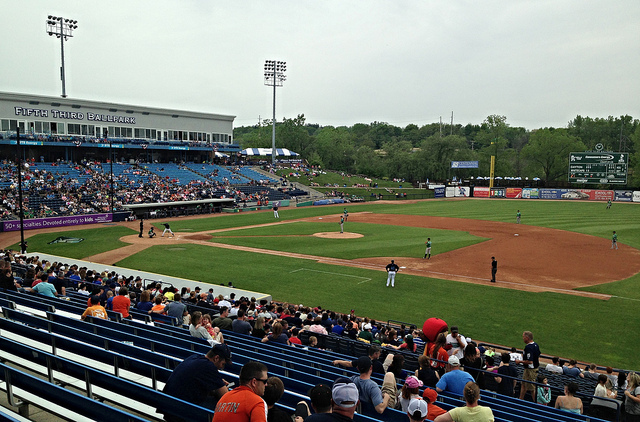 Whitecaps’ reliever Jose Valdez pitched 0.2 innings with a strike-out. Starting first baseman Jeff Holm went 0-1 with a base on balls in the game, but still had fun giving his teammate a face full of shaving cream. 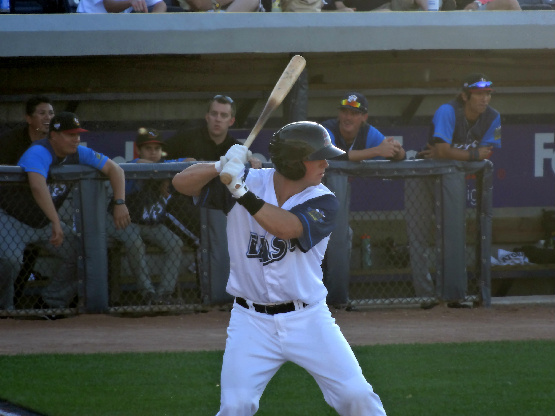 Holm is batting .281 on the season with six home runs, and is leading West Michigan with 42 RBI’s. Valdez is second in the MWL with 15 saves, and has a 2.84 ERA. Our next game planned is just over a week away, and is Star Wars night in West Michigan. It will be fun to see these All-Stars in action once again. Just a quick entry before the kids and I head off downstate. 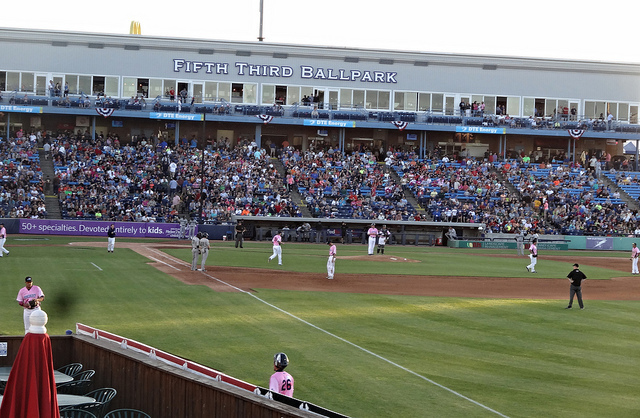 The West Michigan Whitecaps have gotten off to a pretty good start this season. An early record of 3-2 isn’t amazing, but we’ll take it in this Michigan weather. 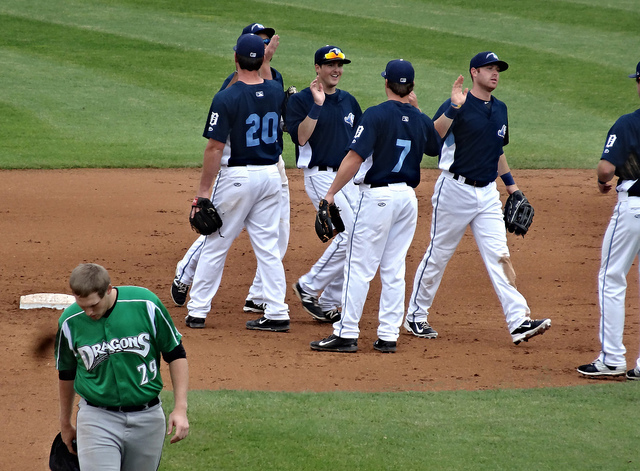 After a great 7-6 comeback win against the Dayton Dragons on opening day, they followed that up with a nice 6-0 shutout. 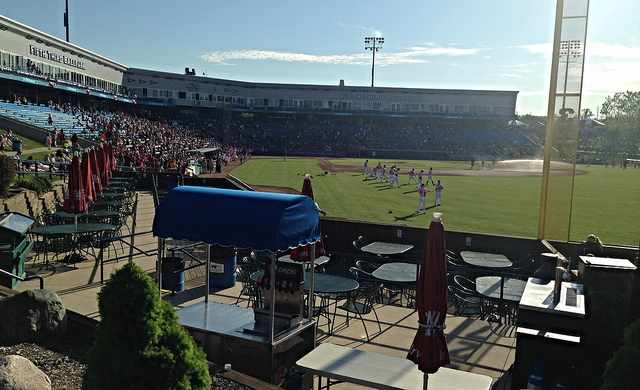 They faltered the next couple of games, losing to Dayton by the scores of 8-3 and 4-1, however. 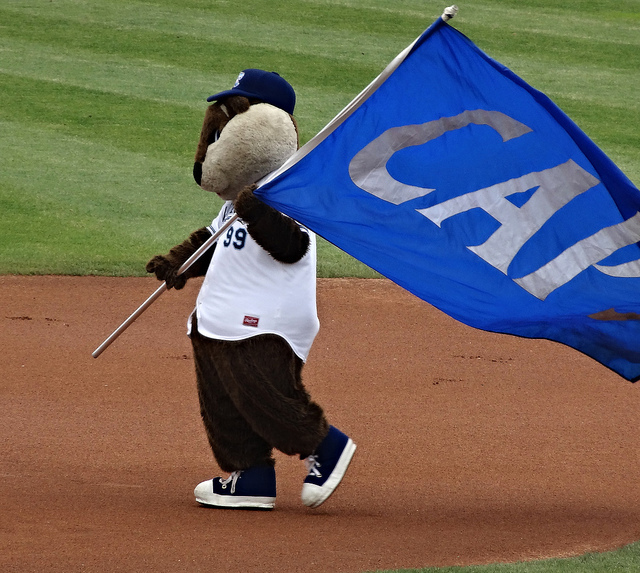 The ‘Caps bounced back in a big way, taking the first game of the series with the Fort Wayne TinCaps 11-4. 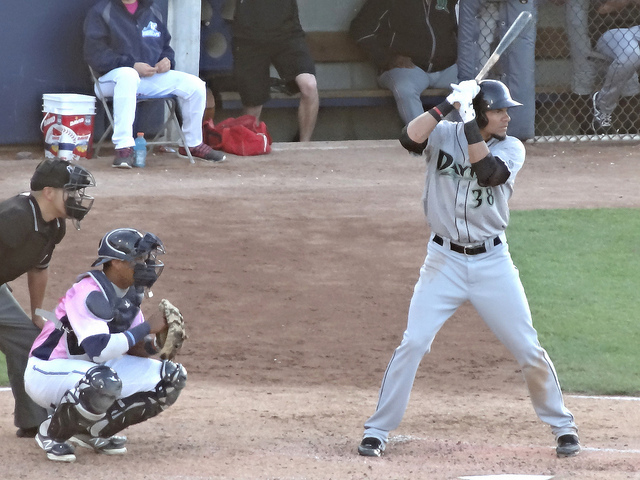 Jake Stewart is currently leading West Michigan with a .462 average, followed by fellow outfielder Michael Hernandez at .429, and second baseman Devon Travis hitting .381. 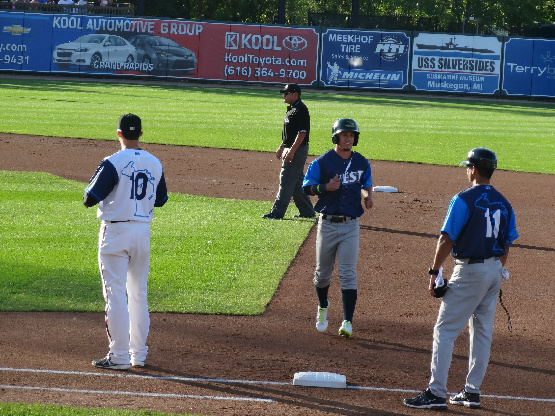 Travis is also one of the RBI leaders for West Michigan at five, tied with outfielder Jeff Holm, and trailed by Lance Durham with three. It’s a little early to judge the pitching stats, but Endrys Bicendo and Brennan Smith lead the team with four strike-outs each. Today’s game with Fort Wayne has been rained out, and the weather doesn’t look good for the rest of the week. High percentage of rain is anticipated for both games in Great Lakes and Lansing we planned on going to. 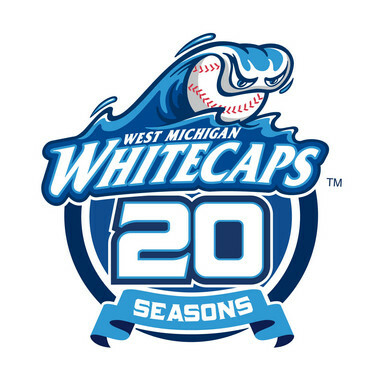 2013 Roster: The West Michigan Whitecaps, along with the parent Detroit Tigers, set and released the opening day ‘Caps roster yesterday. Well travelled manager Larry Parrish will take the helm of a more veteran club than we’ve seen in West Michigan the last couple of seasons. Every player on the roster is over 20, with the exception of top prospects Austin Schotts and Danry Vasquez, who will be 19 for the entire season. 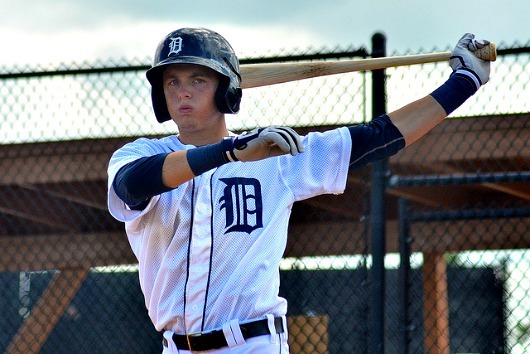 Schotts was the Tigers second pick in the 2012 draft, and is ranked as their fifth overall prospect by Baseball America. 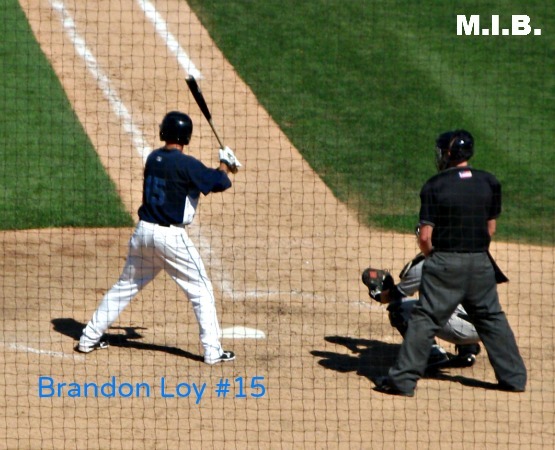 Last season with the GCL Tigers, he hit .310, stealing 15 bases, and scoring 31 runs in just 40 games. 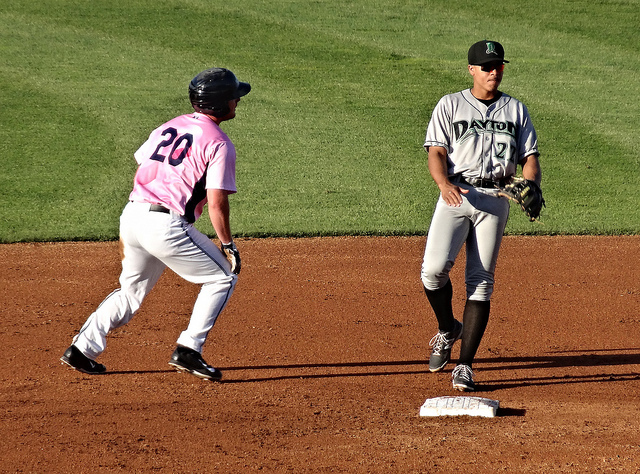 Schotts has the speed and athleticism for center field, which earned him a brief promotion to the Lakeland Flying Tigers late in the season. 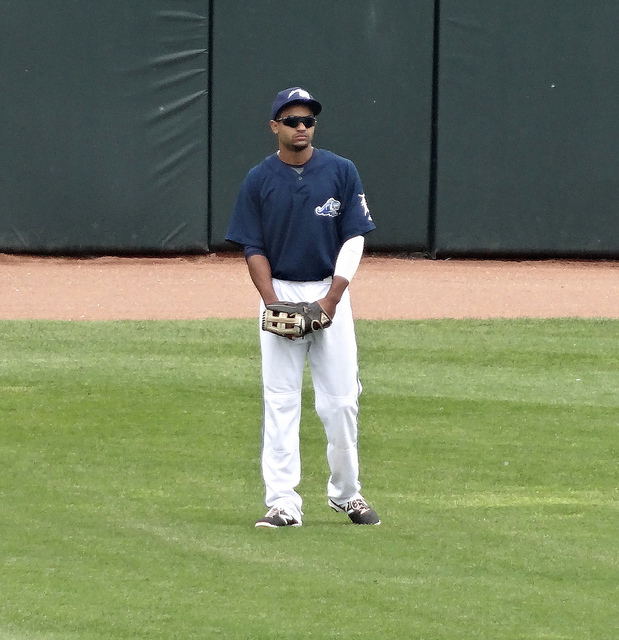 Vasquez, also and outfielder, started the 2012 season with the Whitecaps as the youngest player in the Midwest League. 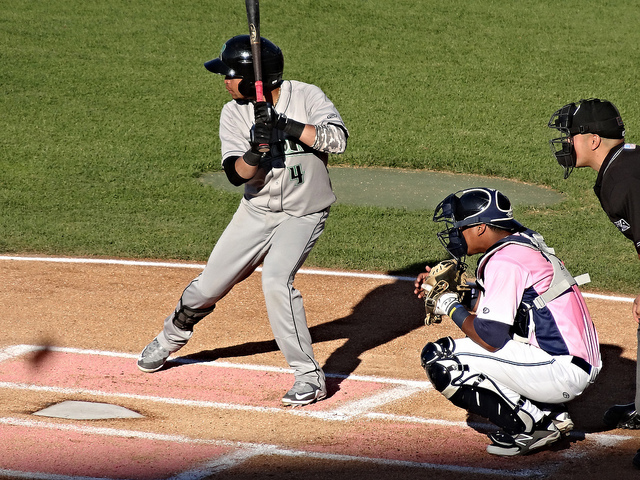 He struggled early, but excelled after being sent to the Connecticut Tigers in the NY/Penn League, where he hit .311, racking up a league leading 90 hits, and slugging 20 extra-base hits. Vasquez is ranked the sixth overall prospect for Detroit by BA. Joining the outfield duo from last seasons C-Tigs roster are pitching prospects Montreal Robertson (ranked 18th), Endrys Briceno (22), and Edgar De La Rosa (29). All three are expected to be part of the ‘Caps starting rotation this season, although no opening day starter has been named. 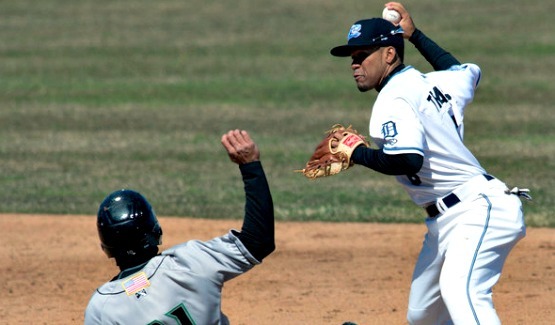 The grandpa of the team will be returning outfielder Michael Hernandez, who suited up for West Michigan back in 2006, helping the team win the Midwest League Championship. He hit for the cycle twice that season, and set a record at the time with seven RBI’s in one game. The Tigers re-signed Hernandez, after trading him away in 2007. 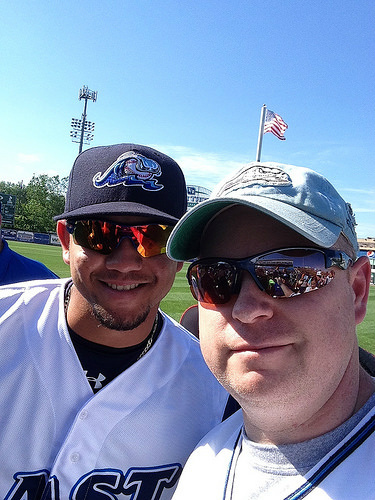 He’s played the last four seasons in the independent Atlantic League. Also returning from last season team are pitchers Brennan Smith (3-4, 3.86 ERA), Chad Smith (0-2, 4.38 ERA), Slade Smith (1 sv, 3.59 ERA), infielder Jeff Holm (.254 BA), and Lance Durham (.238, 4 HR). 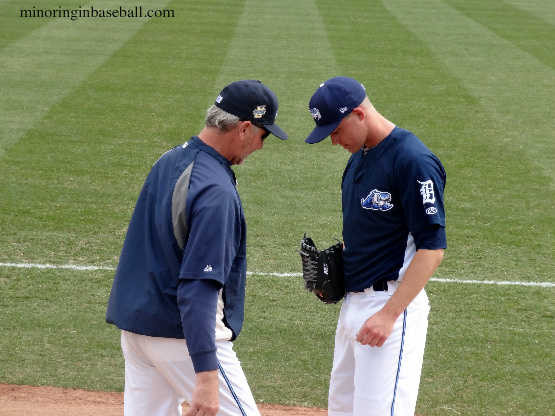 Although this is his first season with the Whitecaps, Larry Parrish has managed the Tigers, Toledo Mud Hens, and has been the hitting coach in Texas. He’s joined on the bench by first year pitching coach, and former Tiger Mike Henneman, and returning hitting coach Scott Dwyer. 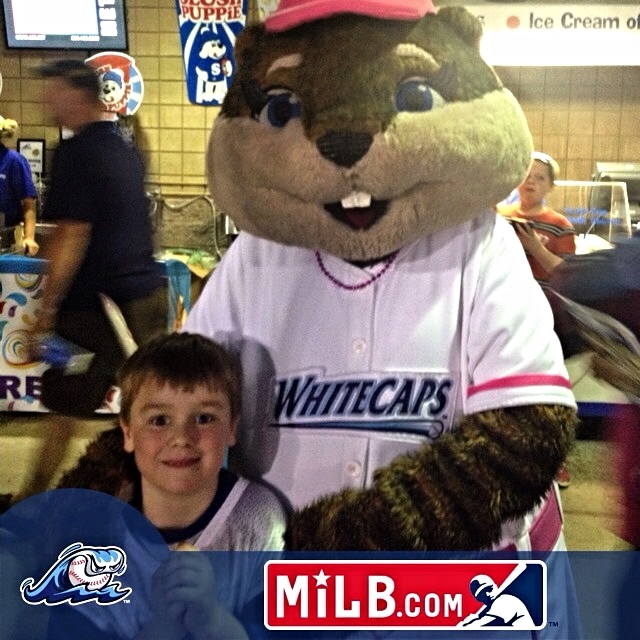 This looks like it could be a special season for the Whitecaps…I’m hoping so anyway! Open Workout: Whitecaps fans can meet and greet the new players and coaches, and catch up with the returning ones on Wednesday, April 3. The team will be holding an open workout where fans can watch practice, and get some autographs afterward. The event starts at 1:00 p.m., with the team practicing at 1:30, and the meet and greet from 2:30-3:00. The event is free for the public, as is the parking! If I was living a little closer, I’d be there for sure, as it was a big hit last season. 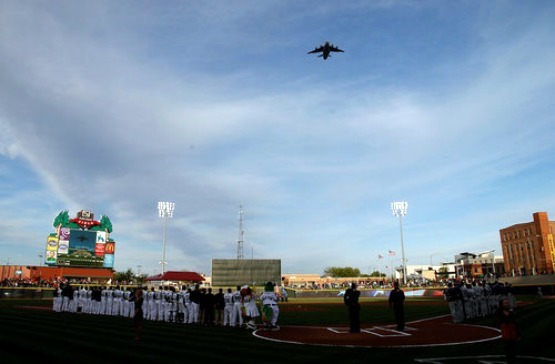 The ‘Caps take the field for Opening Day on the 4th, hosting the Dayton Dragons. 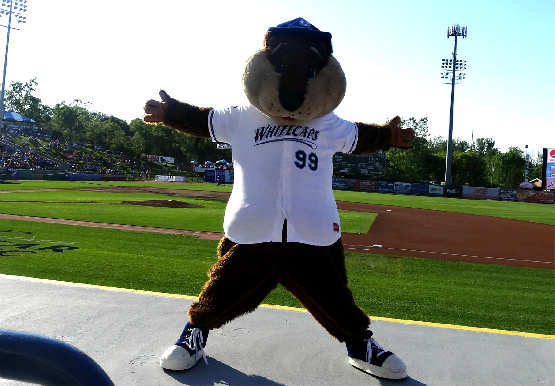 Whitecaps on TV: For all the games I can’t make it down from the Upper Peninsula for, the Whitecaps have signed a deal to have all of the their home games broadcast on MiLB.tv. I bought this last season, and loved it. It’s also very cheap if you buy it along with the MLB.tv package. They join all Triple-A teams, along with select Double and Single-A teams who are broadcast on the network. 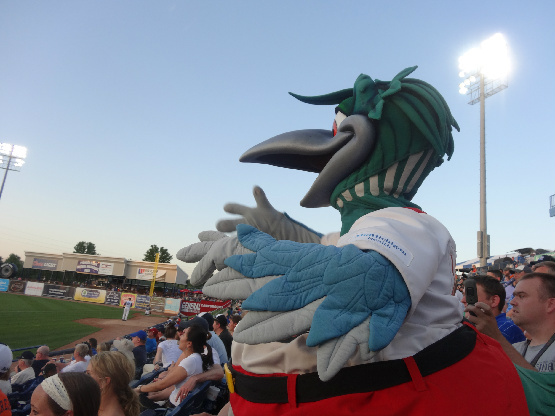 They join fellow Tiger affiliate the Toledo MudHens, and fellow Michigan team the Great Lakes Loons also. Living so far away from the ballparks, this is really a great deal for me, so I can keep up on all my teams. I wish the MiLB.tv would be compatible with the online streaming devises for my regular TV, though, like the MLB.tv is. Watching on computer or iPhone is ok, but doesn’t compare to watching them on the big screen! As I mentioned in my last post, winter here in Michigan is hanging on, and it doesn’t look like it’s going anywhere, soon. 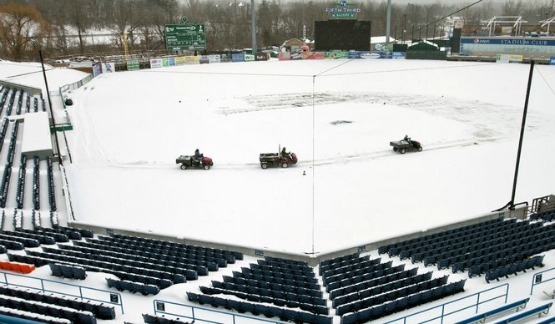 Down in Comstock Park, the grounds crew at Fifth Third Ballpark has begun the snow removal process. 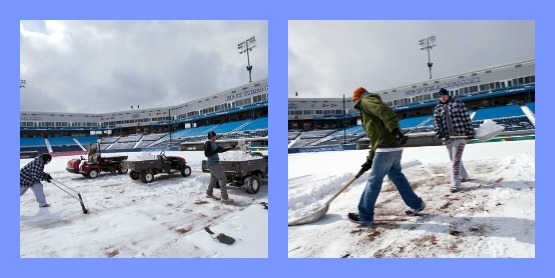 Without the warm sunshine, or even warm rain, to melt the snow, head grounds keeper Michael Huie and his crew have to do it the old-fashioned way. Shovels and snow blowers. This doesn’t look like much fun, but us Michiganders have been doing this for five months now. It looks like the weather may warm up a little, into the 40’s, this weekend, but still not baseball weather in my opinion. 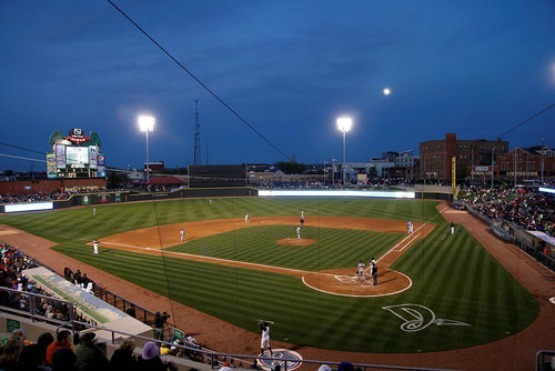 The West Michigan Whitecaps host the Dayton Dragons in the season opener on April 4th, so good luck to them getting the ballpark ready. 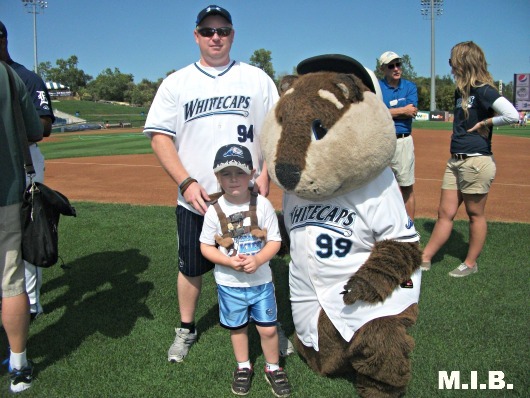 Brian and I with Whitecaps mascot Crash the River Rascal! 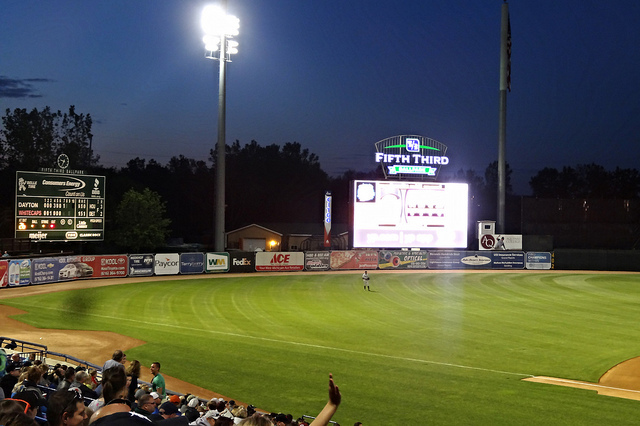 Fifth-Third Ballpark–Comstock Park, MI: I’m not talking about the doomsday prophecy, but last weekend was the second-to-last game for the Whitecaps, and most likely our very last game of the 2012 season. It’s always bitter-sweet to see a season come to an end, but we have a lot of great memories to look back on. 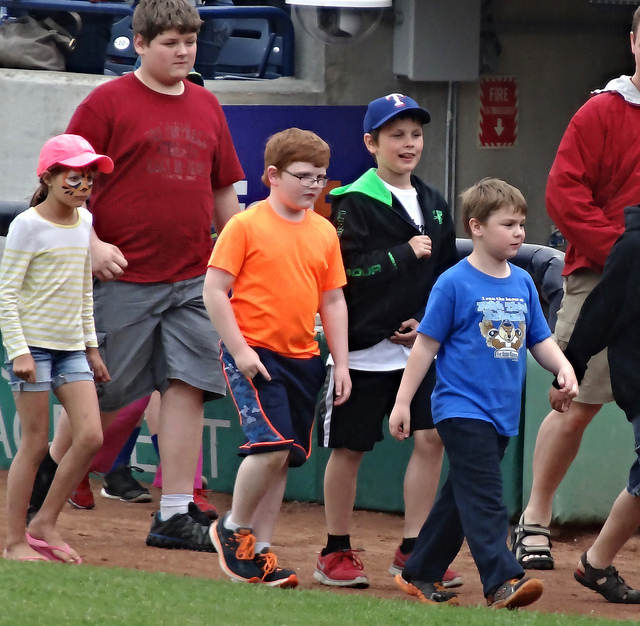 This was another memorable game for the kids and I, as we were able to get onto the field again and see some of the players and coaches. Brian really wanted to see Crash the river rascal one last time, so that was our priority! 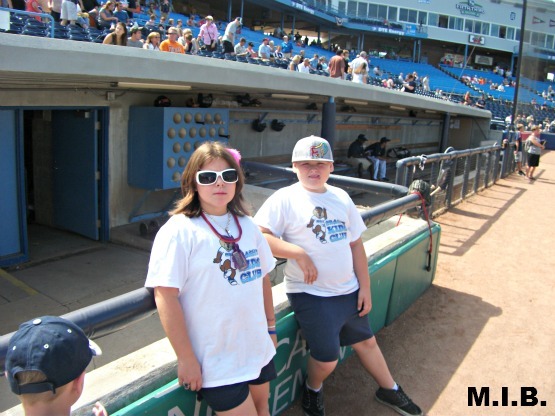 We didn’t have much of a chance after that for playing catch or getting many other pics with the players, but I did get one with the kids in front of the dugout. 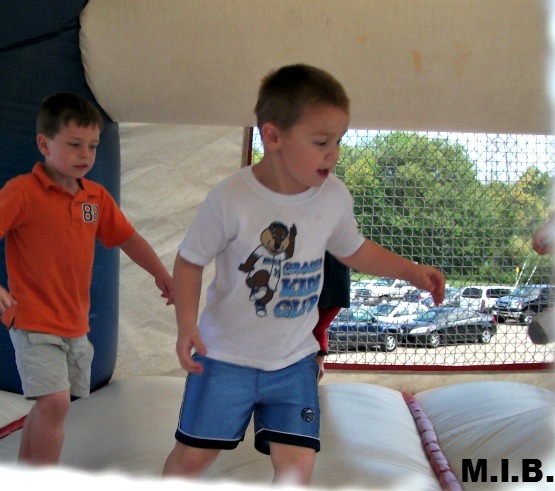 Brian was able to play on the playground and jump around on the ‘bouncy house’, which burns up some of his energy (Lily and Trevor are too big for the playground…where does the time go???). The kids Papa and Nana were able to join us, too, so it was a great day spent with family at the ballpark. I’m really going to miss the sunshine and the green grass, as fall, and soon winter, will be blasting us with the reality that we live up north. I was really glad we were able to make this trip, though, with school starting and two birthdays within ten days of each other, this was definitely a ‘no frills’ trip. Don’t worry…I still fed them and even got them their ice cream! 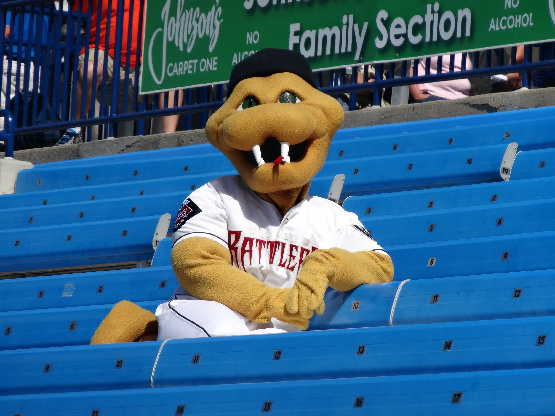 The game itself was a fun one, as the ‘Caps built and early 5-run lead on the Dragons. That was no easy task, either, considering that Robert Stephenson was on the mound for Dayton, who was the Cincinnati Reds first round draft pick last year and the organizations top pitching prospect. 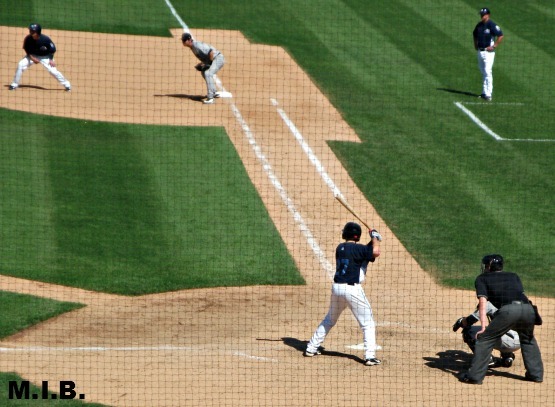 For West Michigan, Zach Maggard hit a two-run double in the second inning, to put the ‘Caps up 3-0. In the third inning, Jason King and Patrick Leyland each had RBI singles to put them up 5-0. 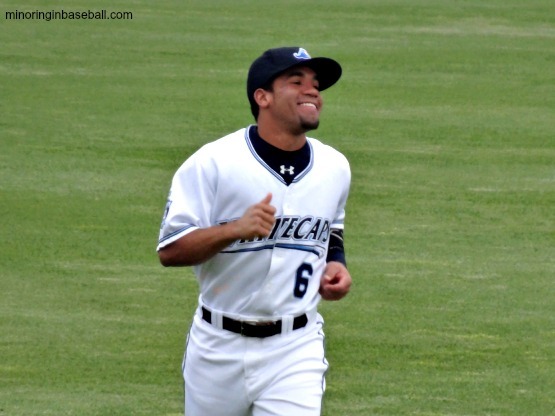 Eugenio Suarez gave West Michigan some insurance, with an RBI triple in the sixth inning. 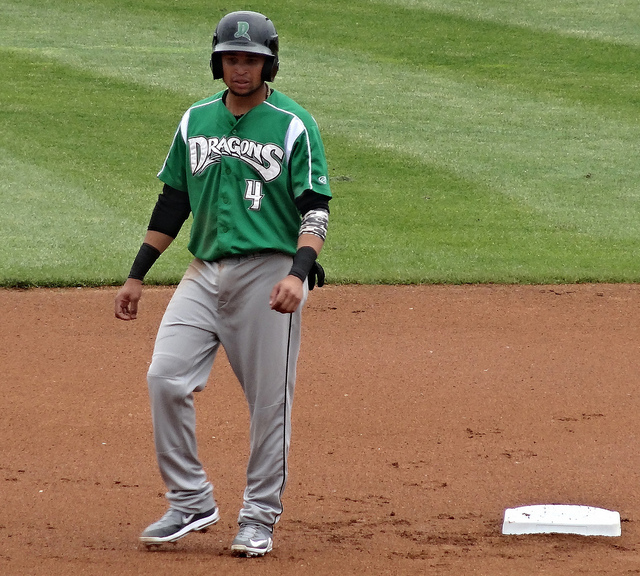 The Dragons came back to score a few runs off starter Jeff Ferrell, but he held on for the win. 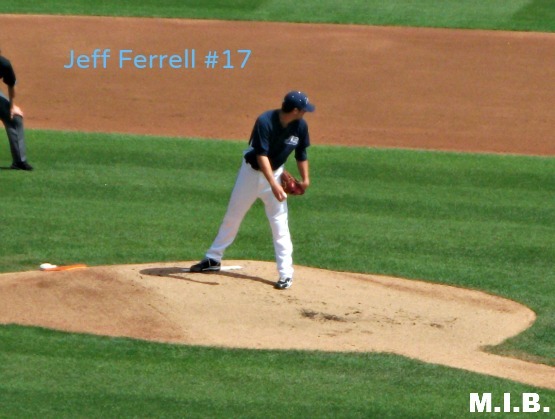 Ferrell is now 4-1 in his last six games. 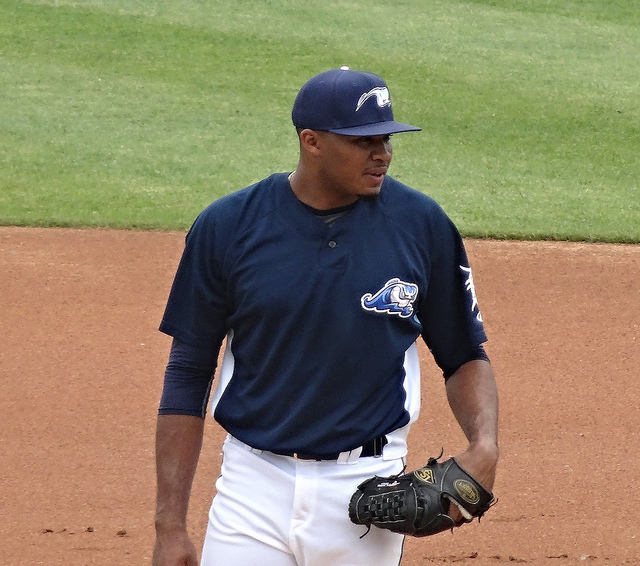 Michael Torrealba pitched a scoreless ninth inning to earn the save. 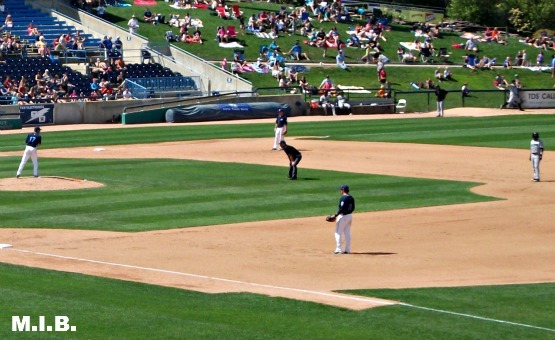 In all, the Whitecaps ended up with 15 hits in the game, with five doubles and one triple. It’s good to see them playing hard, even though they won’t be making the playoffs. 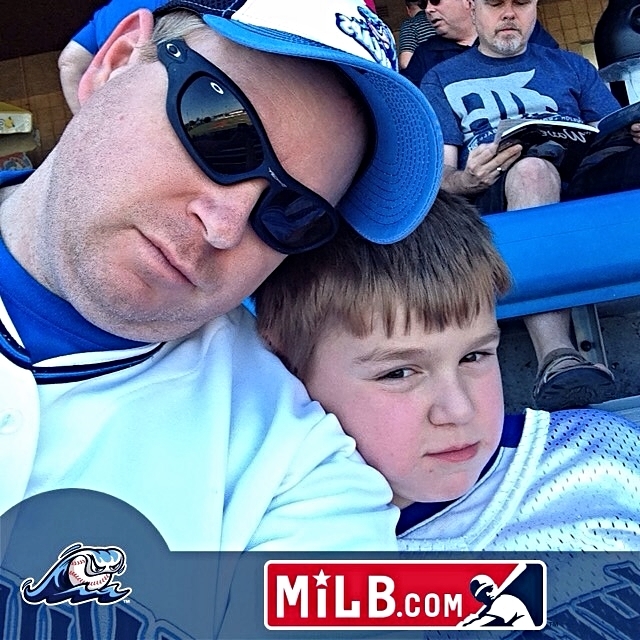 I still can’t believe that it will be another six months at least until another baseball game. This was an end to and extremely busy week for us, that saw Trevor turning 10, his first football game, and a couple of trips to the county fair. The kids last hurrah before school starting up. 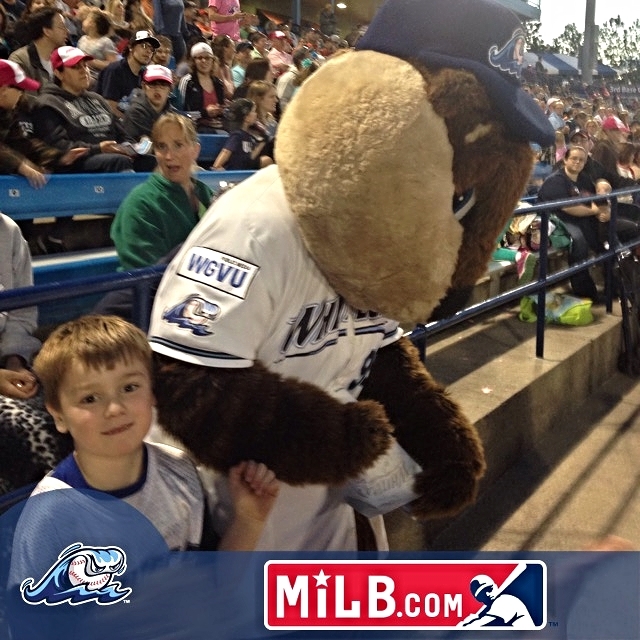 Final: Whitecaps 6, Dragons 4. 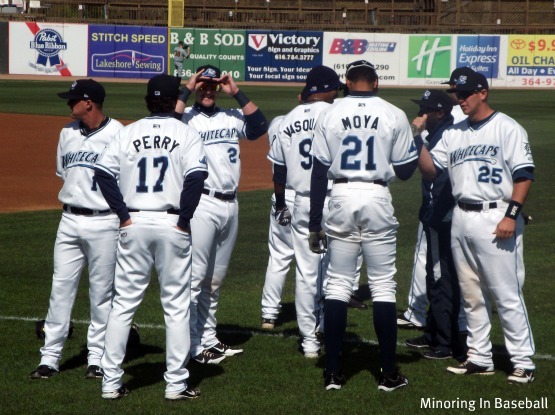 There was some optimism for this 2012 West Michigan team. And, in reality, there still is. 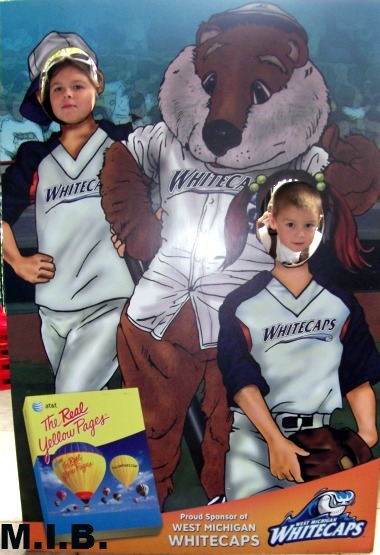 With a solid number of prospects on the roster, as well as some familiar names for Tigers fans, this years rendition of the Whitecaps looks to have a winning look to it. 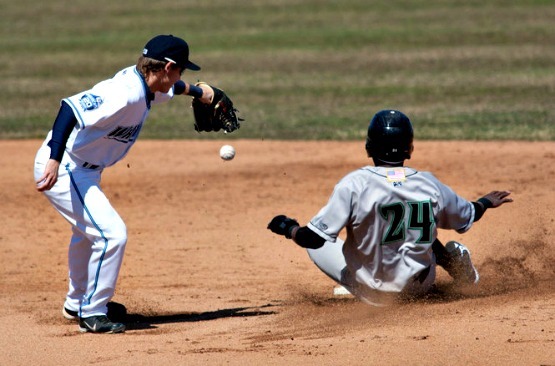 Even infielder Colin Kaline feels confident about his team this season. 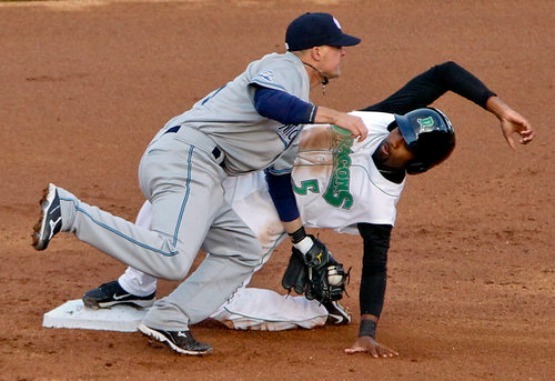 The Whitecaps hit a speed bump on Opening Day, however, in the form of Dayton Dragons pitcher Justice French, who was named the Cincinnati Reds‘ Minor League Pitcher of the Year last season. 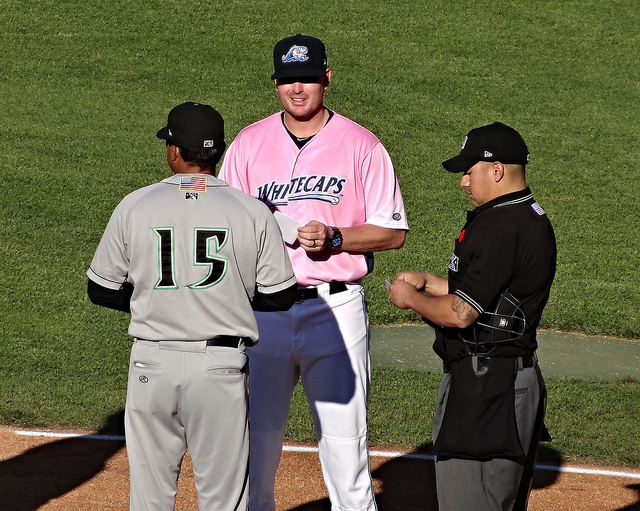 French struck out eight hitters and only allowed two of the Whitecaps four hits to earn the 3-0 victory. In all, the ‘Caps struck out eleven times and were 0-5 with runners in scoring position. 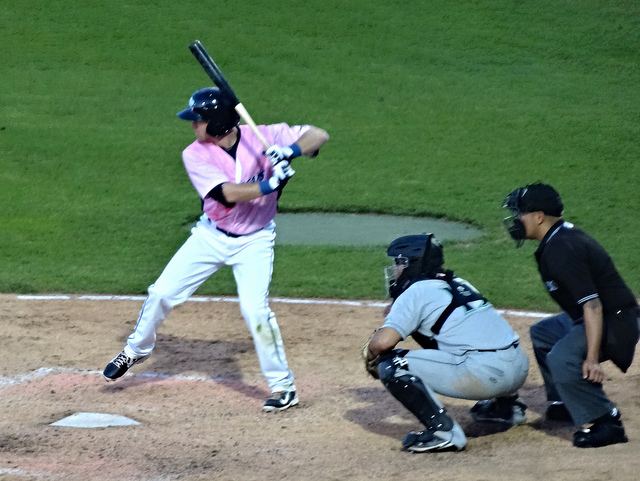 Aaron Westlake, Dan Green, Eugenio Suarez and Steven Moya collected hits for West Michigan, while Kaline went 0-3. 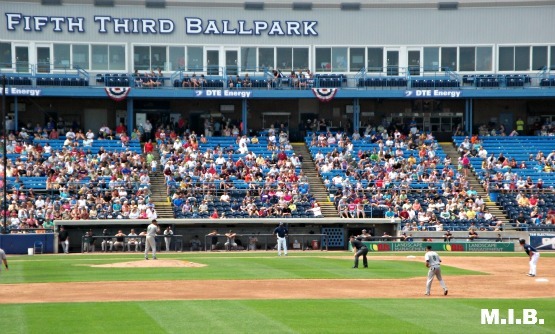 Starting pitcher Josue Carreno took the loss for the ‘Caps, who are now 11-8 all time on opening day. 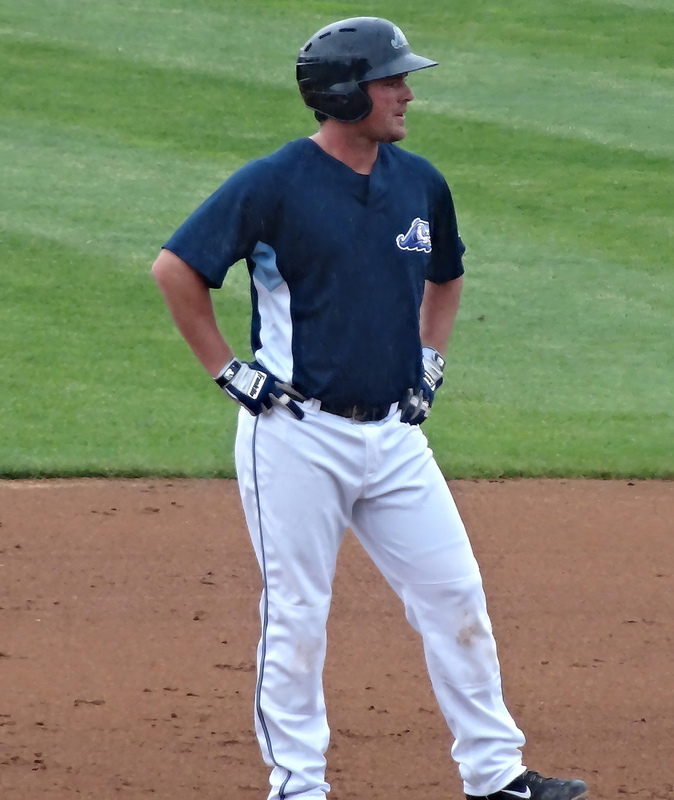 First baseman Aaron Westlake had one of the Whitecaps four hits on Opening Day.